My husband needed a baby card for a co-worker this week. 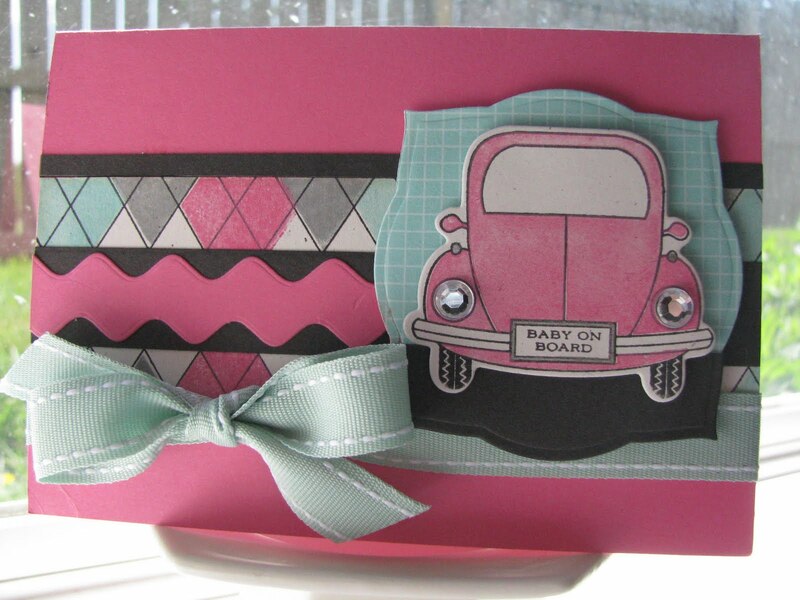 This is what I came up with....using the new Enjoy the Ride stamp set from PTI!! 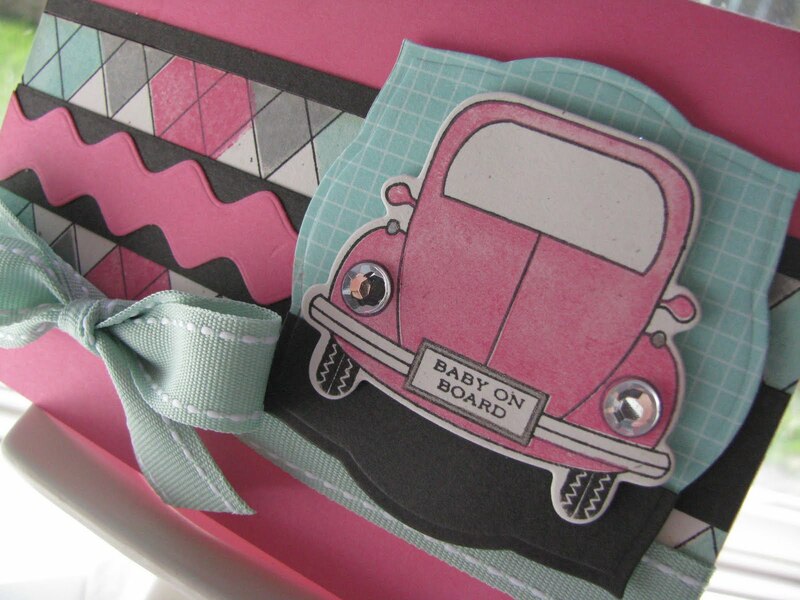 Way, way, cute stamp set that has a coordinating die for the car!!! I also tried my "accident" rick rack again today!! I LOVE the larger rick rack!!! Just run your die through twice however wide you want your rick rack. The middle piece between the 2 actual rick racks is a larger piece!!! When you are done, you actually have 2 pieces for your scrap pile that you won't have to cut later!! Also, had to use my new favorite set, A Little Argyle too!! This will definitely be one of those "all the time" sets to use!!! 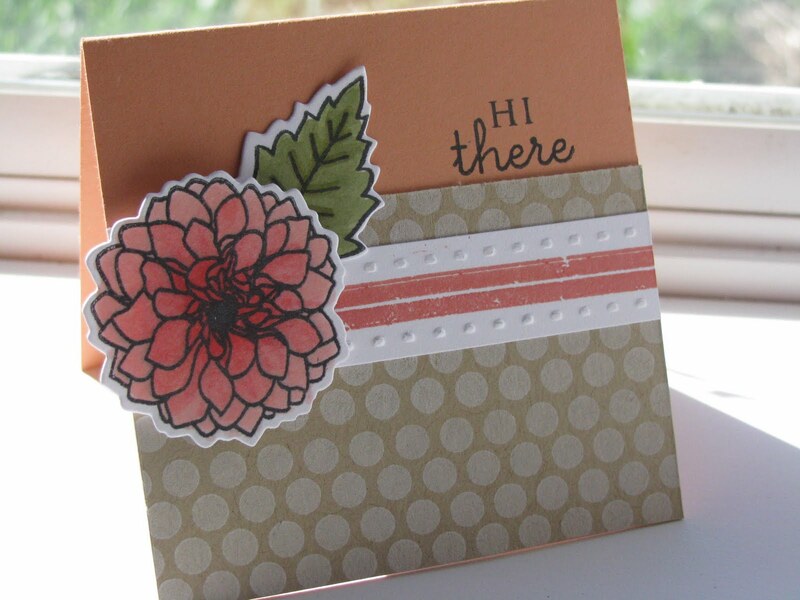 This is not a standard A2 card......the Hibiscus Burst base was actually a scrap from my pile so I just used that!! As I was photographing this, I knocked it off the stand several time and bent one corner and made a dent in the rick rack!! ughhh..... Here is a close up of the car....Love how the headlights size is PERFECT for those larger rhinestones!! I wish that you could see that I outlined the license plate with a silver gelly pen!! It really sparkles IRL!!! Well, what do you think? Have a great week!! 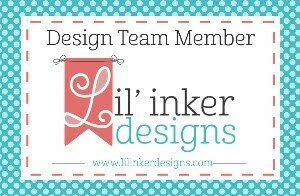 I recently joined a new blog group called Papertrey Paper Dolls! Wow, what a group of talented ladies I have joined! That being said, their blogs are listed on my side bar....go check them out! We will be doing weekly blog challenges and EVERYONE can participate! We have used the inlinkz feature so that you can see everyones creations and add your own even if you are not a "DOLL"! It will be so nice to challenge myself each week with something "new"!! Alright, down to business! 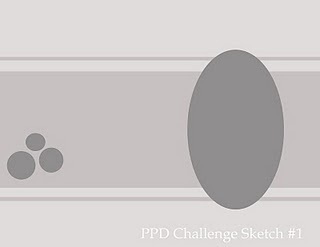 The first challenge was using a sketch and was hosted by one of my good friends, Laurie Beth. I have to admit I had a very hard time with this one but that is what this is all about! Challenge yourself! I followed the sketch except for turning the oval on its side. For this challenge I thought I would dig out some of my "older" PTI stamps! One of my favorites, On my Couch, was used here with the new couch dies that PTI released this month. 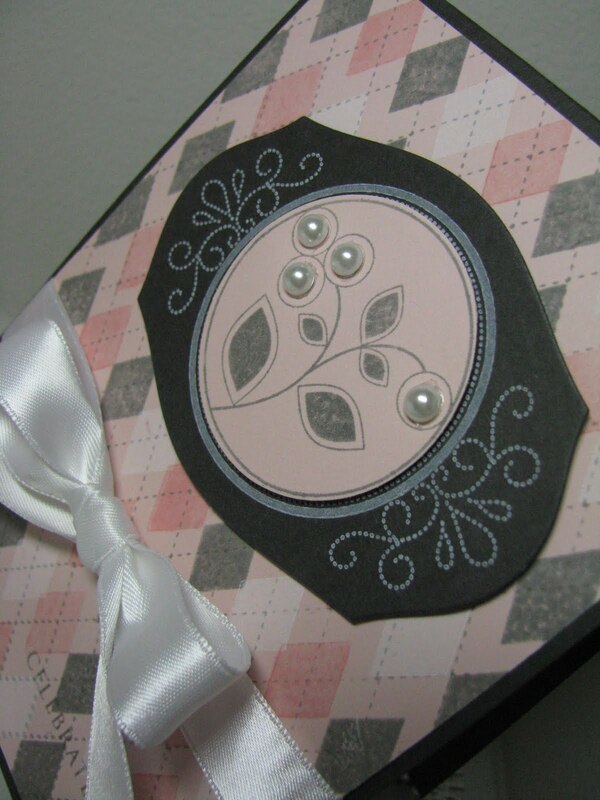 I still have a learning curve with stamping them on the die cut! hehe The other "older" set is Borders and Corners Circles. You may ask........circles where? 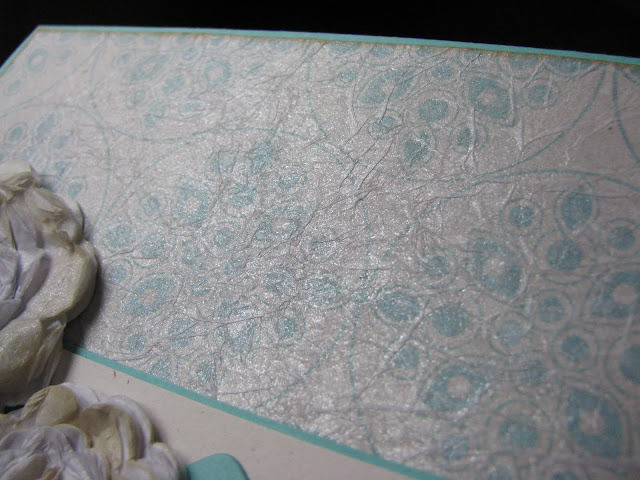 Well, that's the beauty of clear stamps.....I just laid my clear block over the oval and placed the dotted circle in an oval on my block and whalaa, dotted oval stamp! Something I found out today by accident when using my new Rick Rack die was if you die cut 2 strips close together, you get a wider "rick rack" in the center of your paper! Kinda cool! I had planned to use the rick rack die as it was but then thought, hey I could use the other part as wider rick rack! And if you look close at the New Leaf rick rack strip, you can see that there is actually a small embossed border! Here is the sketch for the Papertrey Paper Dolls Challenge #1.....why don't you come play along?? April 2010 PTI Blog Hop time!! Well, here it is again! 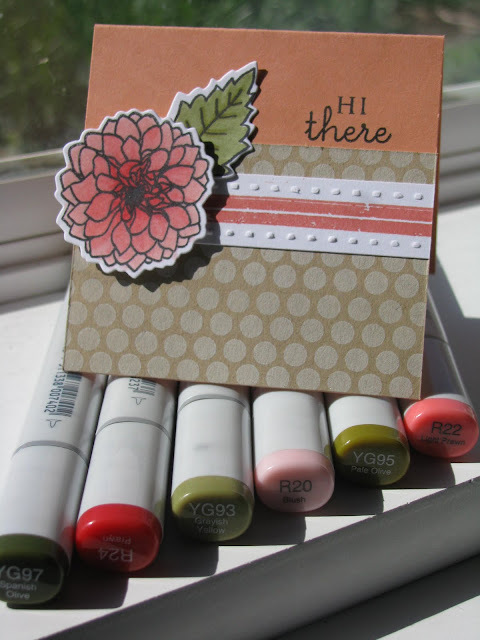 It's the monthly Papertrey Ink Blog Hop!! 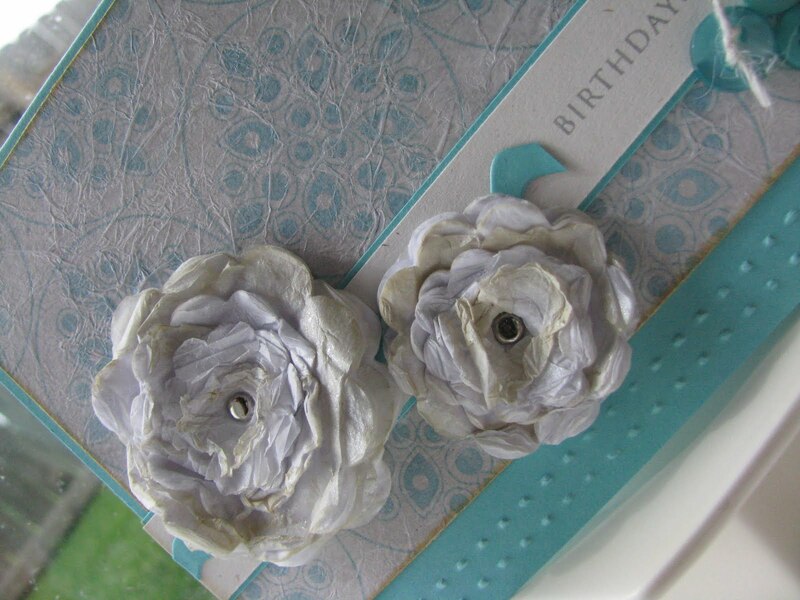 This month's challenge was to focus on tissue paper since it has become a hot trend in the papercrafting world. As we all know, each PTI stamp set comes wrapped in tissue paper. So, this is a "free and green" project!! Want to see what I came up with? A while back, Nichole Heady presented a video on faux silk using tissue paper. I had never done this technique before this but will definitely be trying this again! What a pretty result! 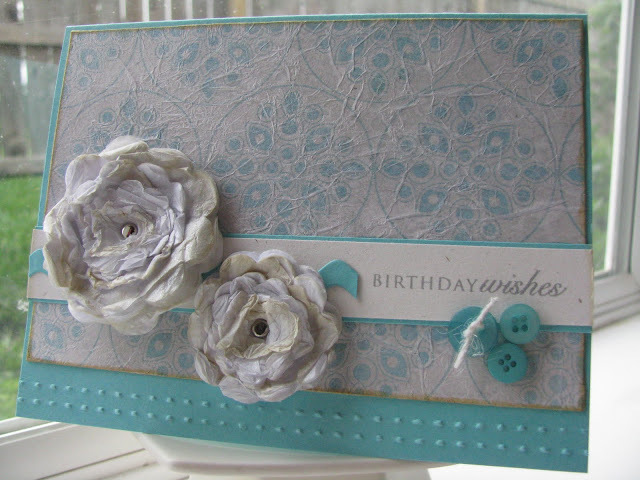 The faux silk technique is the background paper on my card. You simply stamp your paper and run a clear glue stick over your paper and lay crumpled up tissue paper over your paper. You then lightly tap it in place and then you can rub a little harder to smooth it out some. 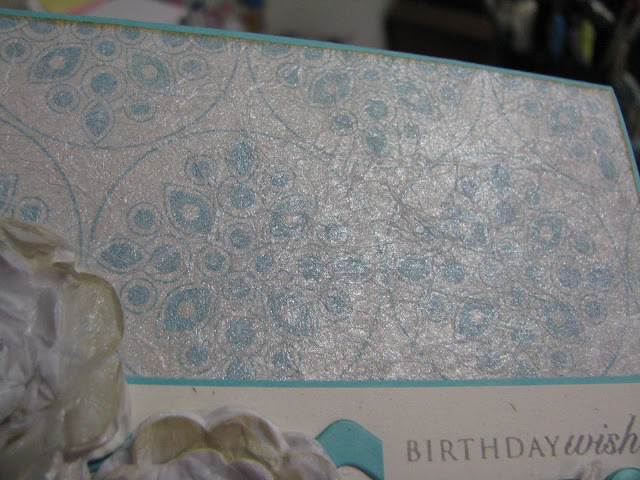 Now, the flowers on my card are also using tissue paper! I used my Beautiful Blooms #2 dies and cut out multiple layers of all 3 sizes. They are attached together by a tiny silver brad. Then, I crumpled them and inked 'em up with Tea Dye Duo inks!! Now, you may be wondering why they flowers and background look a little grey.......take a look at these next pics. I have used Shimmer Mist over my background (before adhering to my card) and on my flowers! What a beautiful shine.....and no it's not a glare!! Well, what do you think? You NEED to try both of these techniques!! The faux silk technique really doesn't take as long as it looks! 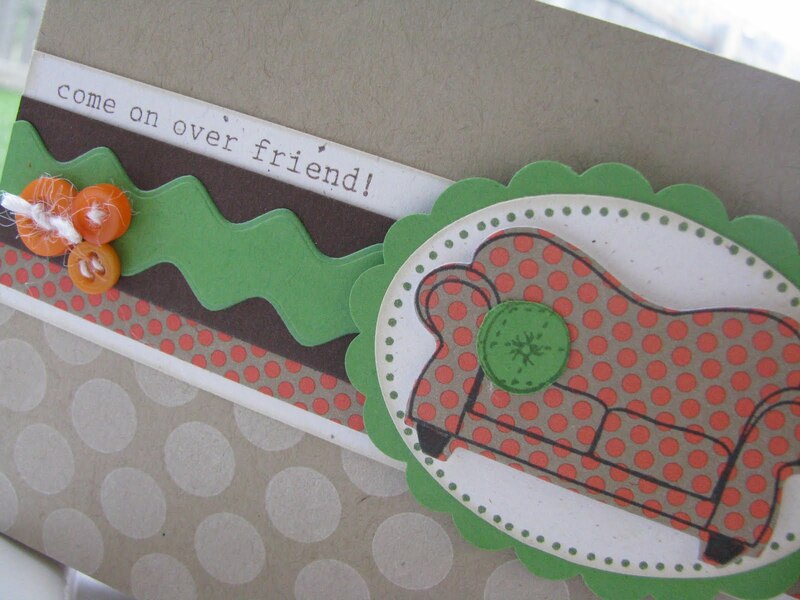 Have a great time with the Blog Hop tonight! Thanks for visiting! I am so excited about this new set from PTI!! I knew as soon as my new goodies arrived that this was THE set I wanted to play with. 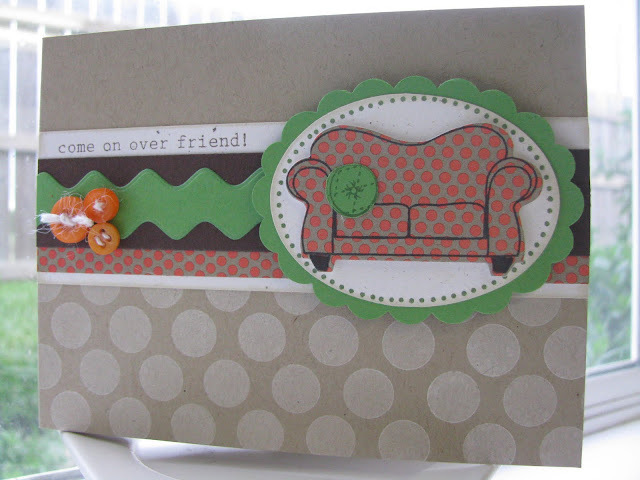 Now, I apparently can't count since my argyle on this card got a little "off", but I like how it turned out anyway! guessed it.....argyle on it in these colors! 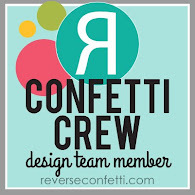 Well, that's it for today....my creativity has been GONE I tell ya.....but now that I have some new goodies to play with and a new blog group I joined (see my sidebar), I should have plenty to keep me busy for a while! 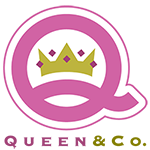 Make sure to check out all these talented ladies on their blogs!! Well, I finally did it Jen! I used some of your butterflies you sent me!! Now, I can't wait to get my hands on my OWN butterfly die!! LOL.........Anyway, this card uses Butterfly Dreams and boy will I see this set inked up more often!! Very fun set!! 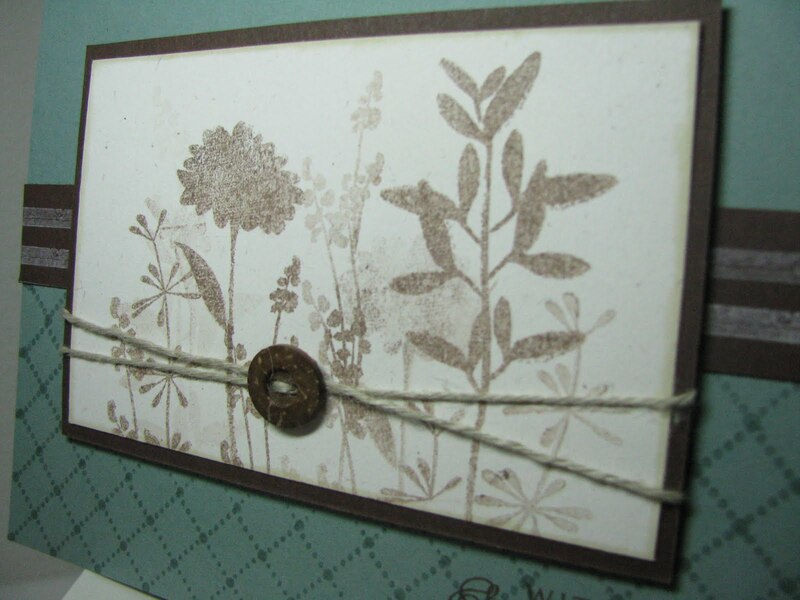 I also used Background Basics: Botanicals. Can you say EASY?? This particular background stamp was super easy to get lined up. 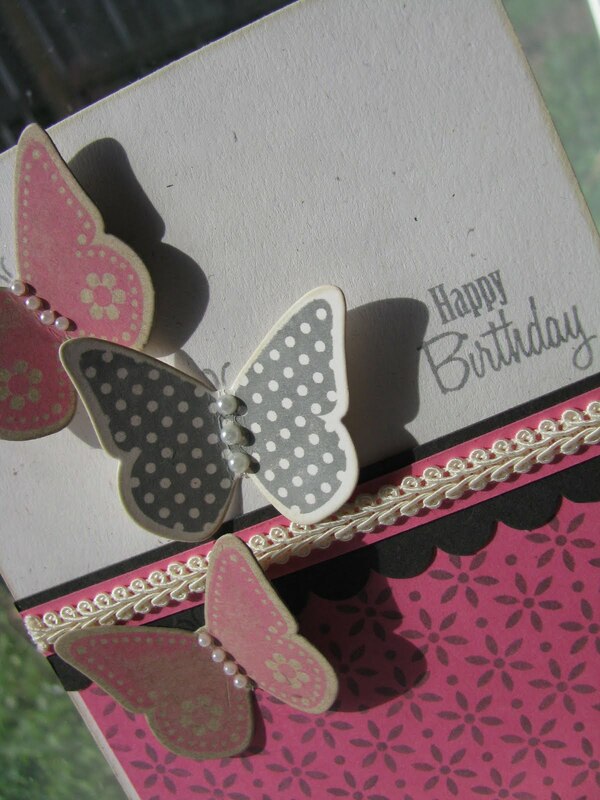 I thought the dots between the flowers tied in so well with the dots on the butterflies!! I used some tiny pearls for the butterfly bodies and did you see that ivory trim? I found that at a store called Tuesday Morning (like 3 spools for $1.29 and had to buy other colors too). Just add a little line of Scor-tape and whallaa....instant border! The trim ends wanted to unravel just a bit so I just tacked them down with a drop of Fabri-Tac. Have a beautiful day! Thanks for coming by! 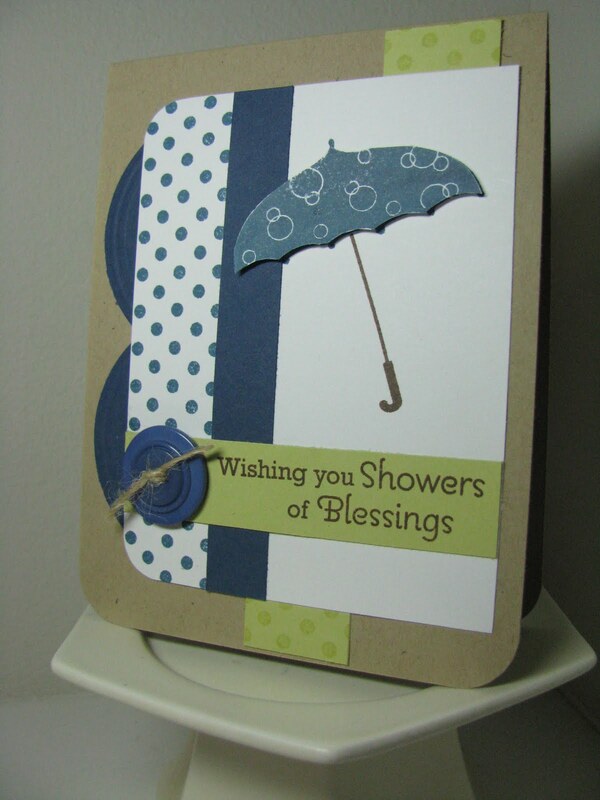 Lately, I've seen some awesome Scattered Showers cards and I thought, "I've never posted this one." So here is my take on Scattered Showers that I made right after this stamp set became available. 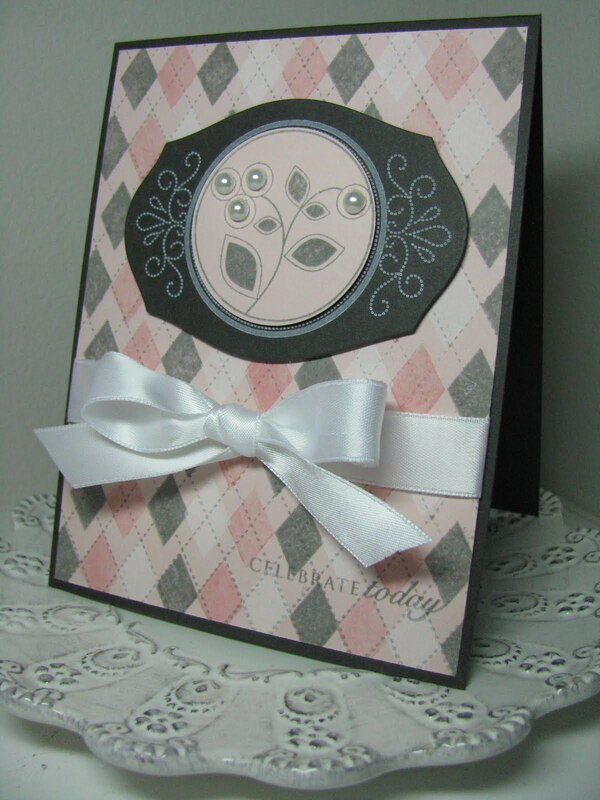 Have you made a card using this set? I'd love to see it!! Link it in a comment! All supplies from PTI unless stated otherwise. I recently visited my friend's blog, Soapbox Creations, and instantly thought, I need to make one of these! However, my occasion was for sympathy but I thought her layout and color choices were perfect. I did have to change it up a little! 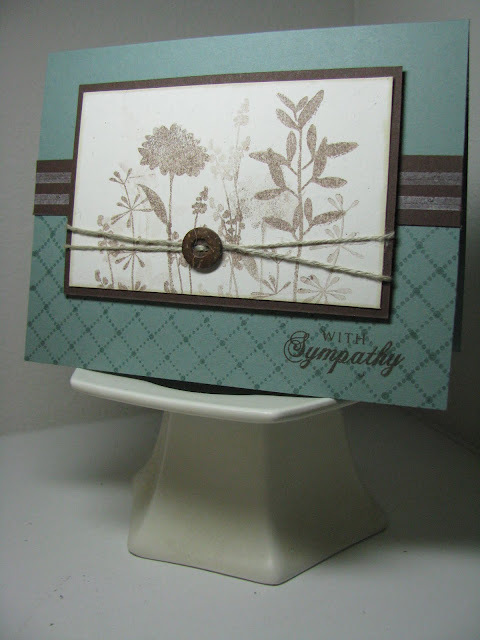 I paired Life with Ocean Tides cardstock for my version along with a Mega Mixed Messages sentiment. Oh yeah, had to use a 'coveted' Rustic Wood button too! I actually used the Copics for Sweet Blush (I realized this AFTER I colored it in and had the rest of my card done) but ohh well, I really think it "blends" well with the Melon Berry! 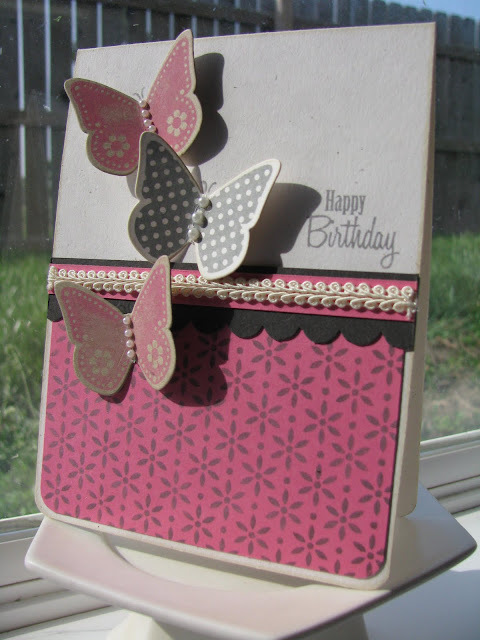 I had to get this in the mail or else I would have redone the base of the card in Sweet Blush. Oh yeah..I don't sew so I used my Scor-bug for the detail above the stripe. Here is Nichole's card that was CASE'd.....I ran and bought the Pure Poppy Copics right after seeing this card.....this card in one word........STUNNING. but a goodie! 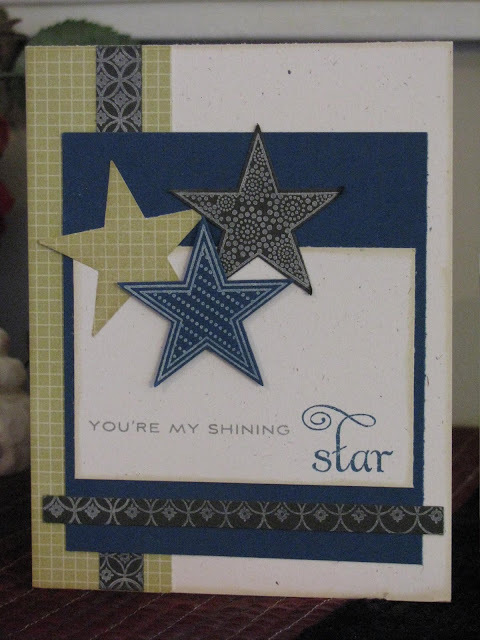 I never did post this card.......I used one of my favorite PTI stamp sets.....Star Prints. I love pulling this set out to make masculine cards....it's just perfect. Pretty simple and used up some scraps!! Have a great day!